The port town of Caesarea (or Kesariya) was originally built by Herod the Great in late 1st century BC, and this settlement then served as the provincial capital of the Judaea Province of the Roman Empire. Suffice it to say, the town has seen its fair share of history in the Levant. 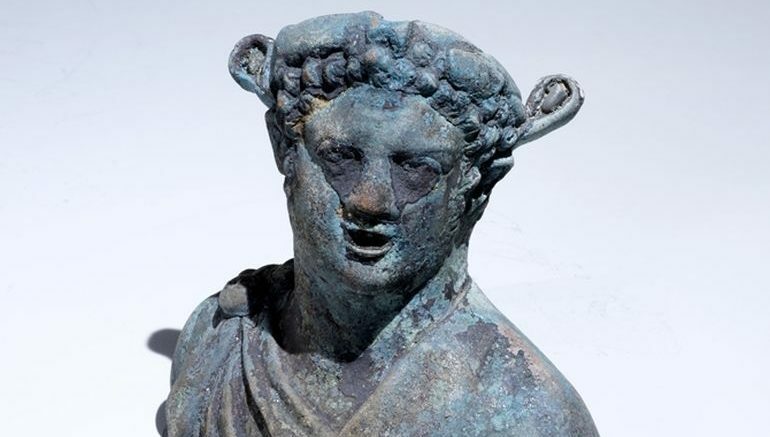 And now its long legacy is mirrored by a myriad of historical artifacts that were salvaged from a wreck of a large merchant ship dated from around the late Roman Period (circa 4th century AD). 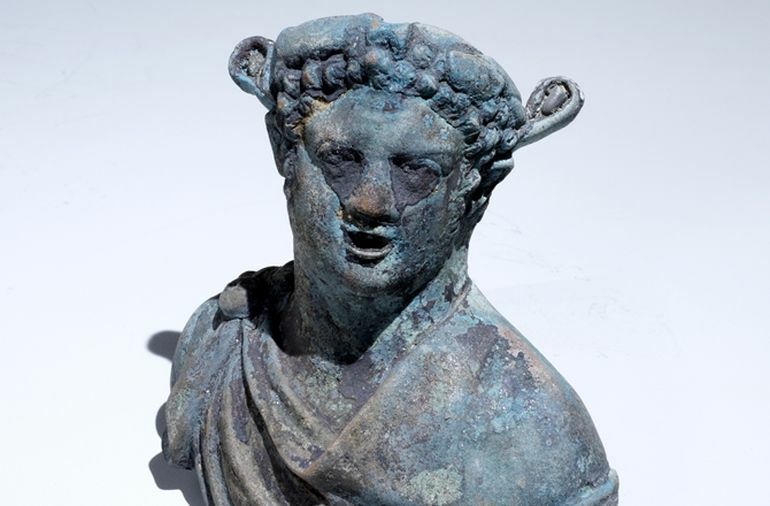 Touted to be the largest hoard of marine-based objects in the last 30 years in Israel, IAA (Israel Antiquities Authority) has announced that the treasure stash contains both bronze statues and coins, along with other assorted stuff. 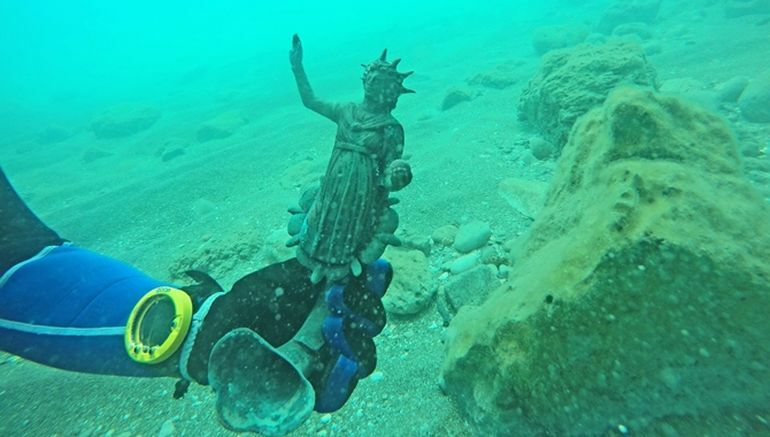 And interestingly enough, the discovery was made quite by chance when two divers identified the remains of the ancient ship and reported back to IAA. And after the IAA archaeologists surveyed the underwater site, they were pleasantly surprised by the excellent state of preservation the ancient ‘cargo’ was in. 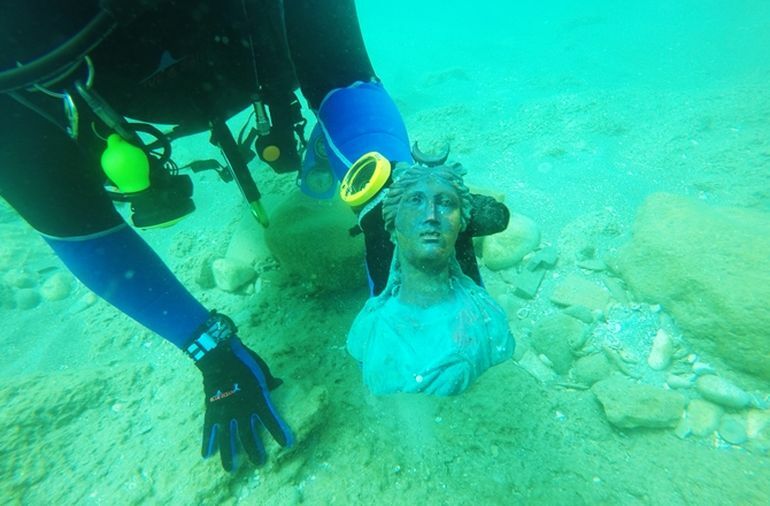 According to the researchers, the reason behind this was probably because of the layer of sand that covered both the Roman ship and its artifacts. 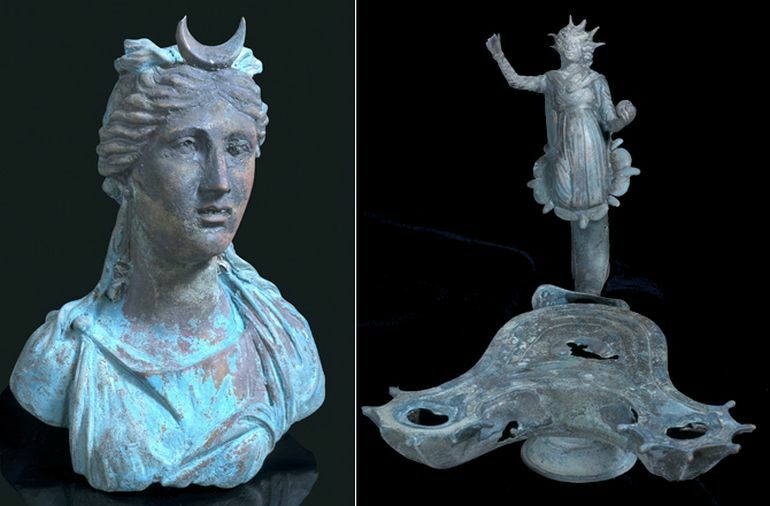 And since we brought up artifacts, the hoard includes – a bronze lamp shaped like the Roman god Sol, another lamp replicating the visage of an African slave, a figurine carved in the image of moon goddess Luna, fragments of jars, broken pieces of bronze statues and (at last but not the least) thousands of Roman coins that were lumped together inside vessels. These coins possibly depict the portraiture of two Roman emperors – Constantine I and Licinius I; men who were co-rulers of the Roman realm for a few years. They were allies at first, and together authored the Edict of Milan that granted official toleration to Christians in the Roman Empire. However by 314 AD, the relationship turned into enmity, and Constantine ultimately defeated Licinius at the Battle of Chrysopolis in 324 AD. As for the scenario of the shipwreck here, the researchers have hypothesized that the crew unfortunately met a cruel storm by the harbor of Caesarea. 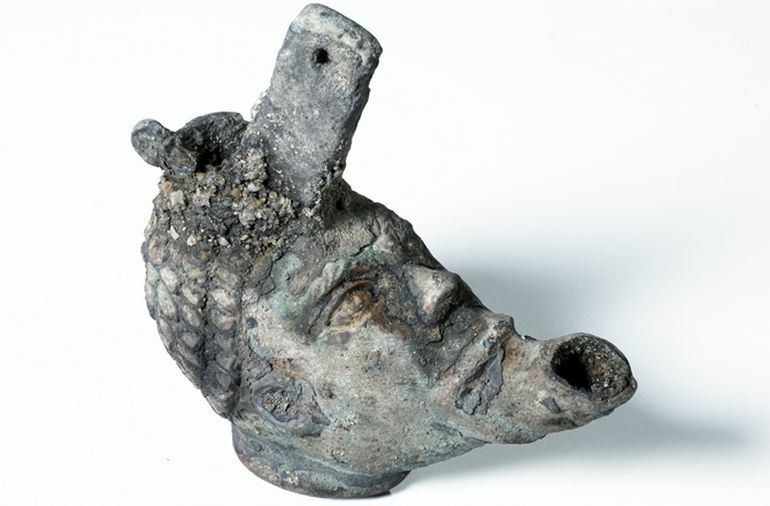 Interestingly, the archaeologists ave also found specimens of iron anchors from the wreck, thus suggesting how the crew members tried their best to stop the craft from reaching the dangerous shore rocks – but to no avail. 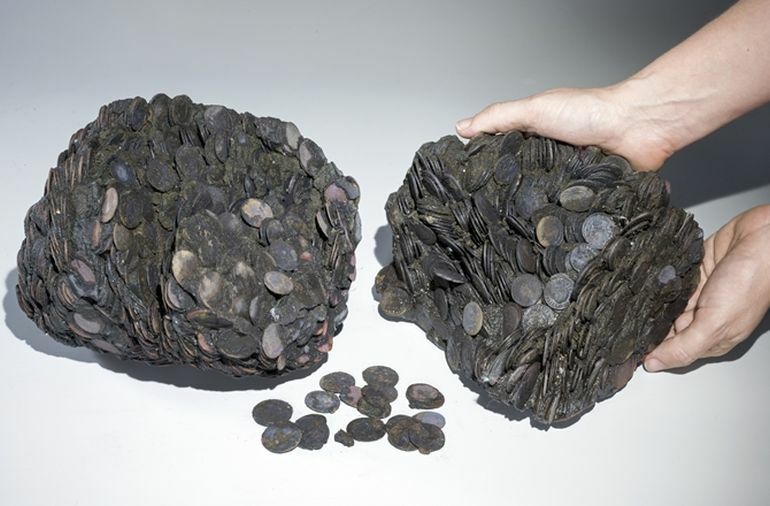 And even more intriguingly, this is not first underwater treasure stash that has been discovered by the Caesarea port. Last year in February, divers stumbled across a whopping 2,000 gold coins of Fatimid origin that were preserved in their nigh ‘mint’ condition.